Incoming Reserve Bank Acting Governor Grant Spencer will have the same price stability target as his current boss, Graeme Wheeler, when he steps into the role for six months after the election. 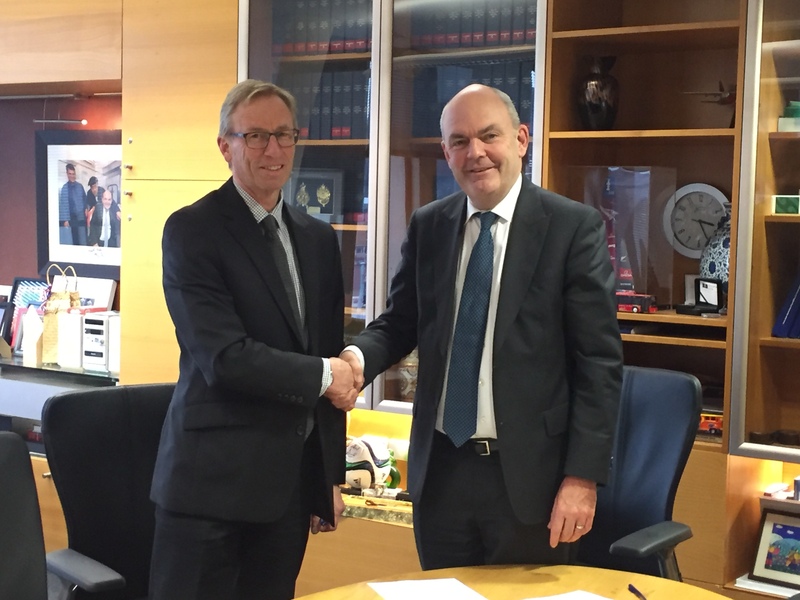 Spencer signed a renewed Policy Targets Agreement (PTA) with Finance Minister Steven Joyce on Wednesday for when he takes over on an interim basis from 27 September. The PTA will last until 26 March 2018. The PTA requires Spencer to target annual Consumer Price Index inflation of between 1% and 3% on average over the medium term, with a focus on keeping future average near the band's 2% midpoint. This is the same as under Wheeler's current PTA, which lasts up to 26 September. Joyce used the announcement as an opportunity to say the existing PTA has served New Zealand well and that there were benefits in maintaining consistency. "The renewed agreement will maintain continuity and stability in the monetary policy target over the election period and during the period of appointment of a new Governor," Joyce said. Labour has recently announced an intention to give the Reserve Bank a dual mandate with the inclusion of 'full employment' to sit alongside price stability. Its finance spokesman Grant Robertson has said he would keep the 1%-3% CPI inflation target band, and that Labour would target a 4% unemployment rate by the end of its first term if elected on 23 September. A renewed Policy Targets Agreement (PTA), which sets out specific targets for maintaining price stability has been signed by Finance Minister Steven Joyce and incoming Acting Reserve Bank Governor Grant Spencer. “Earlier this year I announced that Deputy Reserve Bank Governor Grant Spencer will be appointed as the Acting Governor of the Bank for six months, following the expiry of current Governor Graeme Wheeler’s term on September 26 this year,” Mr Joyce says. Under the existing agreement the Reserve Bank is required to keep future CPI inflation outcomes between 1 per cent and 3 per cent on average over the medium term. The Bank is also required to focus on keeping future average inflation near the 2 per cent target midpoint. The Policy Targets Agreement takes effect on 27 September 2017, after Reserve Bank Governor Graeme Wheeler completes his term on 26 September 2017, and will apply from 27 September 2017 until 26 March 2018. Which tools do Spencer and Joyce consider necessary to achieve the expected outcomes? Numerous OCR cuts without results, beyond international petroleum base price adjustments, call the efficacy of so called "stimulus" actions into question.